Studies show that 1 in 4 companies fails to retain top talent; and even if they stay, 50-60% of top talent are not doing their best work. 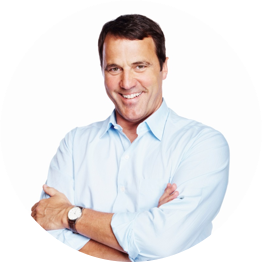 The Leadership Circles Program™ is designed for Fortune 500 companies (like MetLife, Microsoft, Adobe, and Intuit) who are concerned about their need to attract, engage and retain top performers. Leadership Circles is year-long leadership development program helps them engage top talent and maximize their potential by teaching leaders how to align their individual goals with those of the organization, creating a win/win for organizations and giving them a competitive advantage. When they do that, participants’ productivity increases by as much as 45%, leaders overachieve sales goals by 125-400%, and their performance improvements elevate leaders into the top 5% of their organizations. 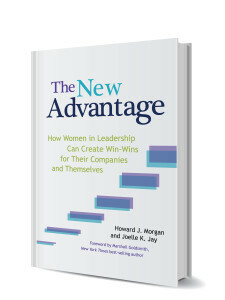 As a result, companies create conditions that gain the loyalty of their leaders and become best places to work. Furthermore, they receive a full return on investment, as the program pays for itself within the year. Are you concerned about the need to attract, engage and retain top performers? You can engage top talent to increase productivity by as much as 45%, have leaders who overachieve sales goals by 125-400%, and elevate leaders into the top 5% of your organization- creating conditions that engender loyalty of leaders and make your company a best place to work. This is not just anecdotal. 1 in 4 companies fails to retain top talent,[i] which means they are bleeding dollars every time an employee walks out the door, especially if that employee is a high performer. Companies that maximize their talent and promote from within perform 11.7% better than companies that don’t. What could your organization achieve? Imagine…Your top talent is engaged, happy, and performing at their peak. This results in extraordinary business results, like sales increases of up to 75%. Your effective leadership development approach means you can fill leadership positions with your best talent while cultivating an abundance of talent for future generations of leadership. You are attracting the best and the brightest in your industry. You have become an employer of choice. Between lost productivity, expensive onboarding, a poor reputation, and a loss of talent, the revolving back door is costing you a fortune. Here’s why it’s so hard. You’re attracting lots of talented, high-achieving employees, but maximizing their potential and transforming them into leaders is a challenge. Leadership – of yourself and of others – is not a skill that can simply be taught. It has to be nourished, cultivated, and practiced over an extended period of time for it to become a natural state of acting and being. Today’s leaders can’t be bought. People are choosing to work where they want to work and live the kinds of life they want to live, but many companies don’t know how to provide that. These days, top performers have a deep desire to succeed both in their professional lives and in their personal lives. There often seem to be irreconcilable conflicts between professional and individual goals, forcing top performers to sacrifice individual goals at the altar of professional success. Organizations focus on getting business results from their top performers, but forget how individual and personal goals drive leaders to succeed. When business and personal goals are out of alignment, top performers lose motivation. The standard workshop approach to training, which may work very well for imparting other skills, is not conducive to long-term development and growth. Changing mind-sets and building the capacity of leaders requires a more sustainable model. Otherwise employees go back to business as usual. To attract, engage and retain top performers, you must develop your talent intentionally and ensure organizational goals are met in alignment with the motivations of top performers. Align the organizational goals with their individual goals, so they can invest their time and talents with purpose and passion. Instill a mindset of empowerment and ownership; show top talent they can take charge of their success. Equip them with strategies and practices to lead themselves and show them how to succeed in your organization. Create an environment where top talent feels valued, respected, challenged, supported, and understood. Remember those star performers with one foot out the door? One came to see herself as a leader and not only decided not to retire, but remained a committed achiever for the company for many years. The other reconnected to her sense of purpose and fulfillment and became one of the top 3% sales performers in the company. Their organization took these steps to develop its talent. Instead of losing consistent, star performers, they gained engaged, enthusiastic and powerful leaders. Alignment: The Leadership Circles Program™ team strategizes with business leaders throughout the program to align organizational goals with members’ personal/professional goals, which generates motivation and momentum. A Focus on Personal Leadership: Using practices and principles of Personal Leadership, participants take full ownership of their success and achievement in the way that’s best for them. Practices and Principles of Leadership: Participants apply the practices and principles of sound leadership to overcome challenges and maximize opportunities. They learn to see themselves not just as talented employees but as leaders who make an impact in the organization. Built-In Infrastructure and Support: Incorporating a sense of community, customized support, and mentorship allows program members to sustain progress over time. A far cry from one-shot workshops that make little or no impact, the network created by The Leadership Circles Program™ cultivates a collaborative culture in which high-performers excel. The Leadership Circles Program™ incorporates a variety of activities designed specifically to meet the needs of high-performers. 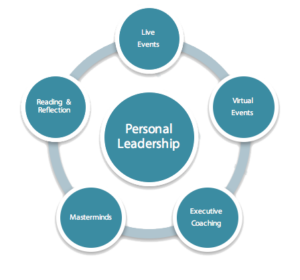 The Leadership Circles model is a flexible, cost-effective approach well-suited to the lives of busy leaders – even in global organizations where they may work all over the world. Leadership Circles centers on measurable business outcomes and observable change. Members complete a pre-assessment two to four weeks before the program to serve as a benchmark. Areas measured include Personal Leadership effectiveness, performance, well-being, engagement, retention, and leadership. Members complete a post-program assessment one to two weeks after the program ends. Businesses get better leaders, and leaders get better results. Month Two Get Clarity: What do you want? Month Three Find Focus: Where will you put your attention? Month Four Take Action: What do you need to do? Month Five Tap into Your Brilliance: What’s unique about you? Month Six Feel Fulfillment: What motivates you and makes you happy? Month Seven Maximize Your Time: How can you achieve more with less? Month Eight Build Your Team: Who can support you? Month Nine Keep Learning: What do you most need to know? Month Ten See Possibility: How can you invite success to come to you? Month Eleven All at Once: How do you move from excellent to extraordinary? Month Twelve Leading on the Edge: What kind of gift do you want to be? have gotten powerful results with Leadership Circles. THANK YOU!!!! Words will not begin to do justice to how blessed and grateful I feel to have been given this opportunity... This program is wonderful and is definitely worth the investment. Thank you so much! This has given me new perspective on my future at Adobe and I am 100% engaged in building my future here. This program is different than any other I’ve experienced. This program is the only one that integrates the learning into real life. Leadership Circles is based on the work of Joelle Jay, Ph.D., author of The Inner Edge: The 10 Practices of Personal Leadership. 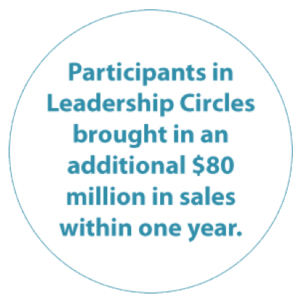 Leadership Circles has been successful in Fortune 500 companies, like MetLife, Microsoft, and Adobe, and is delivered by experienced facilitators certified to deliver research-based programs that get results. Ready to Attract, Engage and Retain Top Performers? Call 858-756-3800 or email LeadershipCircles@LRI.com to schedule a no-cost, no-obligation briefing. [i] Deloitte Touche Tomatsu and the Economist Intelligence Unit, Aligned at the Top (2007), p 4. [i] Edward, S. (2012). “When Developing High-Potential Programs.” T&D. [ii] Martin, J. and C. Schmidt (2012). “How to Keep Your Top Talent.” Harvard Business Review. [iii] Fisher, A. (2002). “Why Passion Pays.” FSB: Fortune Small Business. [iv] Fernandez-Araos, C, Groysberg, B., and Norhia, N. (2011). “How to Hang On to Your High Potentials.” Harvard Business Review.